As the U.S. military discovers new ways to use the 3D printer, the U.S. Navy is considering using blockchain technology to protect project data. The U.S. Department of the Navy has revealed its interest in Blockchain as a technology to secure data transfer during additive manufacturing processes. Blockchain technology is no longer restricted to FinTech, financial institutions, and cryptocurrency adepts. The range of its applications is so wide that the U.S. Army is also showing interest in this technology to accompany its own additive manufacturing enterprise. private blockchains with restricted access, more adapted to military use. The U.S. Department of Defense’s DARPA (which helped create Arpanet, the precursor to the internet), has been exploring the potential defense applications of Blockchain. The agency has been supporting and funding startups to develop security systems based on Blockchain technology. The U.S. Navy faces enormous challenges, such as the high cost and required secrecy for developing new technologies. This has forced the U.S. Navy to rethink its manufacturing processes and even re-imagine the whole supply chain. In this regard, additive manufacturing technologies, which speed up prototyping and production, and reduce manufacturing costs, make it possible to manufacture tools and supplies on site. The DoD’s Strategic Capabilities Office and the Naval Air Systems Command have already demoed a drone created by a 3D printer, called Perdix. ARDEC (the Armament Research, Development and Engineering Center) has revealed RAMBO, or Rapid Additively Manufactured Ballistics Ordnance. RAMBO is a grenade launcher that was created entirely (except springs and fasteners) by a 3D printer. Additive manufacturing, or 3D printing, open up many possibilities for the military, and not just armaments and machines. Researchers at Natick (Soldier Research, Development, and Engineering Center) are looking at ways to use additive manufacturing to produce foods customized according to the soldier’s physiological status and needs. Blockchain technology, which secures cryptocurrencies transactions, could be used to secure highly sensitive data of military manufacturing projects. The U.S. Navy’s innovation department, DON Innovator, has been testing Blockchain technology as a means to boost the security of its additive manufacturing network. 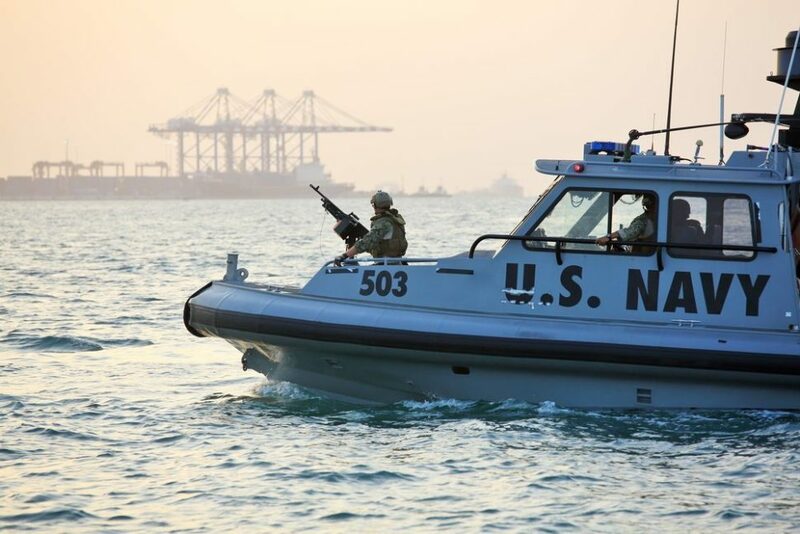 In a post, lieutenant commander Jon McCarter, a member of the Naval Innovation Advisory Council (NIAC), said that the Navy will be testing Blockchain across all its additive manufacturing systems. The testing phase launches this summer and would include a proof of concept then, in September, the NIAC would release an in-depth report about Blockchain potential applications for the U.S. military. What do you Think 2045 Will be Like?